How does one launch a superstar? Make him work on his skills, physique, looks, dialogue delivery, dance moves, style and get launched with a bang. 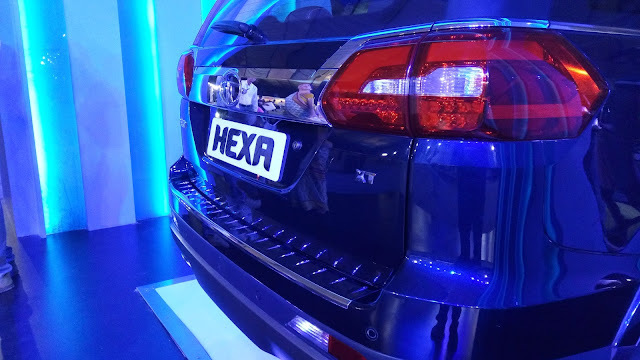 Well, that is what you would be thinking when you look at Tata Hexa. Built to handle anything that Indian roads can give you, from rocky terrain to waterlogged scary drive that keeps you guessing where the next pothole would be, Tata Hexa can handle anything, well almost. Did you see how many vehicles are getting launched from the Tata stable? This new stallion will up the ante for the much-needed relief within an affordable price range. Hexa experience as they called it was a complete one. 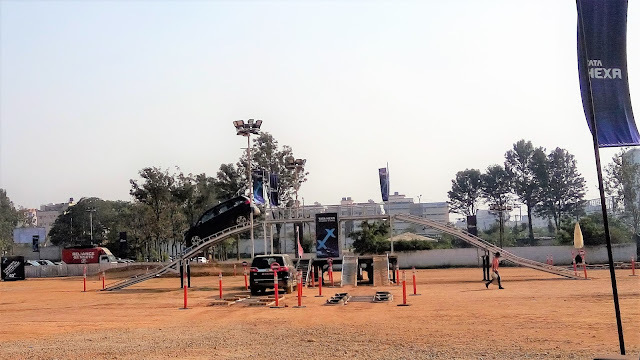 I was invited to check out Tata Hexa in Bangalore and the moment I entered this was an experience like no other. The place had a party atmosphere and had something or the other for everyone in the family. Tatas are known for their endeavors to impact everyone and this was truly a family experience. While the ladies were busy checking out jewelry shopping, teens were engaged in games section trying out board games, there were few canine friends up for adoption and those eyes couldn't let you pass. 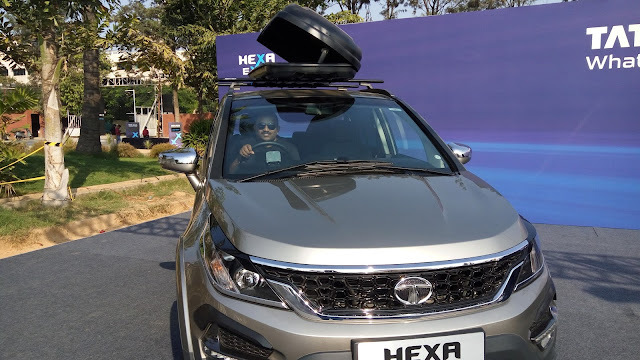 Too many Oohs and Aahs around the kennel and the food courts kept you going, but I must tell you about the centerpiece, the superstar of the evening - Tata Hexa. With a very dominant presence, it looks like it meant business. With 19 inch alloy wheels with superb suspension, LED DRLs, curved real lamps, stand out no-nonsense grill, curves at the right places, clean looking leather finished dashboard, air vents on all rows, comfy seats which give you enough leg room to relax, touch screen control for a music system, navigation, 12 V charging points at all rows, additional light in the glove box, cooled compartment for beverages, reading lamps... I can go on and it looks like a comfy private spa while you cruise along the jagged terrain. While the Varicor 400 diesel engine powers you enough to climb up steep angles with seven people in the car, the 6-speed transmission can let you chase dreams. Built to take your family and friends out, the higher end version can pack in a camper set and loads of luggage on the top making it ideal for getting out of the grind. Ah! I love the smell of a new car. Loved the use of chrome in many places giving it the glitter when you clean it or drive in the rain. 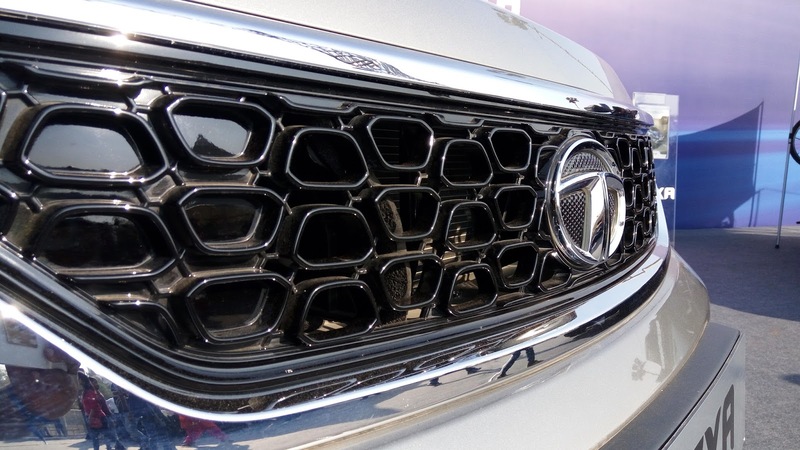 With the ex-showroom price to be around 18 lakhs for the higher end model, Tata Hexa is worth every penny. I would recommend getting all accessories done at the showroom itself for an additional 1.5 lakhs as they blend with the Hexa Experience. Well thought out, simple yet not imposing designs make your stallion sizzle when you take out for a drive. Move over Innova, Fortunner, the new superstar is here.